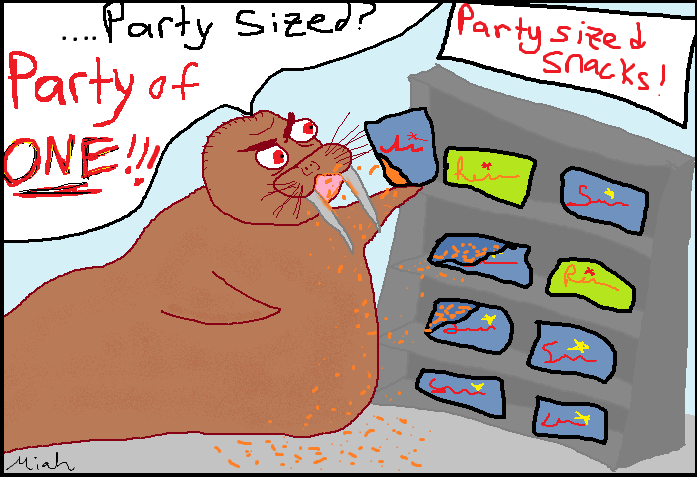 So I was routing around for some snaffels in the store today and I noticed that there were a lot of “party sized” snack foods sitting around. You know, the super-grando-walrus-endorsed-butter-approved sized portions. Like 2 1/2 pounds bags of candy. The problem at hand? But, I’ll be real with you, ‘Murica. We have a problem. Now, don’t get me wrong I did get me some of those delectable…delicious…bits of joy and happiness wrapped in colorful unicorn paper. Not necessarily the jumbo sized, but noms enough to make me happeh… until they were gone. 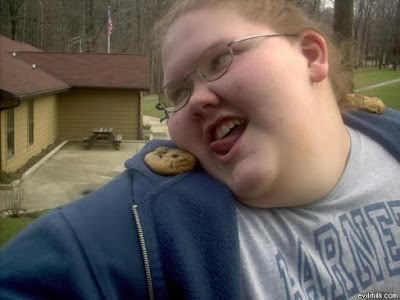 My desire for the “party sized” bag of candy, all for myself. AWL MYNE!!11!!one!! Left me wondering… what am I becoming?